The forces of gravity, the mass of the pendulum, length of the arm, friction and air resistance all affect the swing rate. Pull a pendulum back and release it. 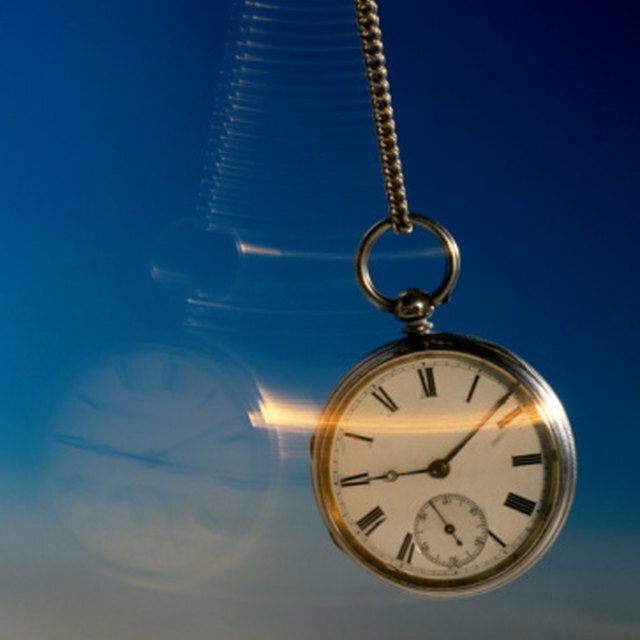 You can let the pendulum swing back and forth on its own, or in the case of a clock, have it swing powered by the gears. Either way the principle of periodic motion affects the pendulum. The force of gravity pulls the weight, or bob, down as it swings. The pendulum acts like a falling body, moving toward the center of motion at a steady rate and then returning. The swing rate of a pendulum adjusts when placed in close proximity to another pendulum. This phenomenon is called sympathetic vibration. The pendulums pass motion and energy back and forth. This transfer will eventually cause the swing rate of one pendulum to be identical with that of the other pendulum. Alley, Robert. "What Affects the Swing Rate of a Pendulum?" Sciencing, https://sciencing.com/affects-swing-rate-pendulum-8113160.html. 29 April 2018.